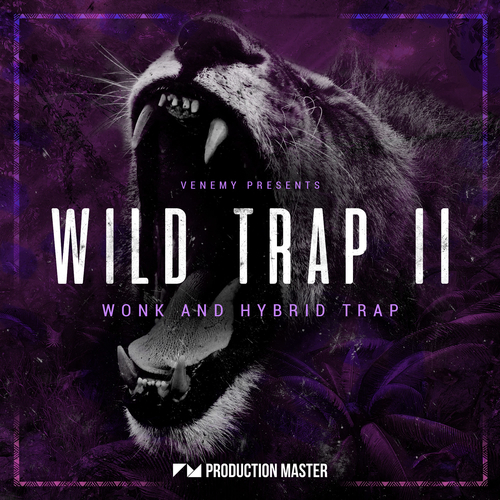 Get wild with Production Master’s second edition of popular trap series, ‘Wild Trap 2’! Inspired by the sound of Troyboi, Hucci, Stooki Sound, Diplo, RL Grime, Flosstradamus, Yellow Claw, San Holo & more, this massive 24-bit library contains everything you need to build a banging trap hit record! Get crazy with the wild erratic synth riffs and melody loops, 808s and distorted leads. Create hype with melodic fillers and risers. Infuse your track with some real tribal feels by playing around with the ethnic melody and tribal percussion loops. Smash the dance floor to shreds with our heavy drag and drop drums and bring some creativity and life into your tracks with the dope vocal chants and shouts included in this pack. This complete collection will dazzle your crowd and make it know you are a force to be reckoned with! A lot of the sounds inside this pack are made by recording hardware synths. For this pack, we used the mighty Access Virus TI and the Novation Bass Station II. We ran them through different effects and processor pedals including some heavy saturation. Next to this, we implemented a whole lot of Xfer Serum and heavy resampling techniques. The result is a highly intricate collection of usable, tuneable sounds for your trap productions with a massive creative edge. You will be amazed by the crispness of these samples and original recordings. Go wild in the studio, get ’Wild Trap 2’ NOW!